SCVHistory.com LW2450a | Ridge Route | Pioneer Aviator, Passenger Killed in Crash of Light Plane, 4-9-1937. Rescue-turned-recovery workers prepare to remove the bodies of E.B. Christopher and E.A. Crumm from the wreckage of Christopher's two-seat monoplane, which crashed Friday, April 9, 1937, into a mountainside on the Ridge Route in the vicinity of Gorman. 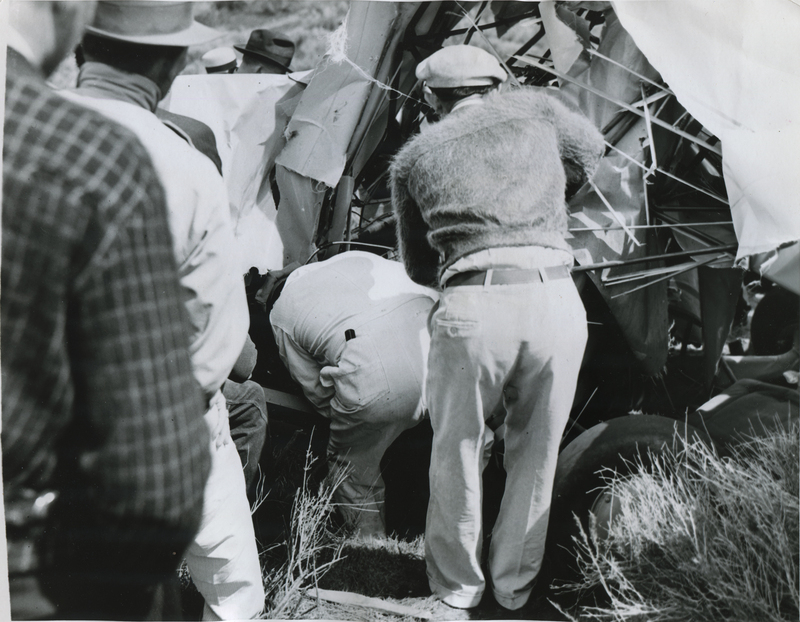 Workmen removing the bodies of two aircraft executives from the wrecked plane in which they were killed when the ship crashed on a mountain side north of Los Angeles. The victims were E.B. Christopher, president of the Swallow Aircraft Corp., and E.B. Crumm of Pasadena. Two prominent aircraft officials were killed today when their two-place plane crashed on a mountain side on the new Ridge Route 50 miles north of Los Angeles. E.B. Christopher, president of the Swallow Aircraft Corp., and E.A. Crumm of Pasadena were instantly killed. Photo shows workmen trying to get the two men out of the plane. The "new" Ridge Route, aka "Ridge Route alternate," opened in 1933, bypassing the old one. One of the three Model "C" Coupes by Swallow Airplane Mfg. Co. Pilot E.B. Christopher, 34, of Wichita, Kans., and his passenger. E.A. 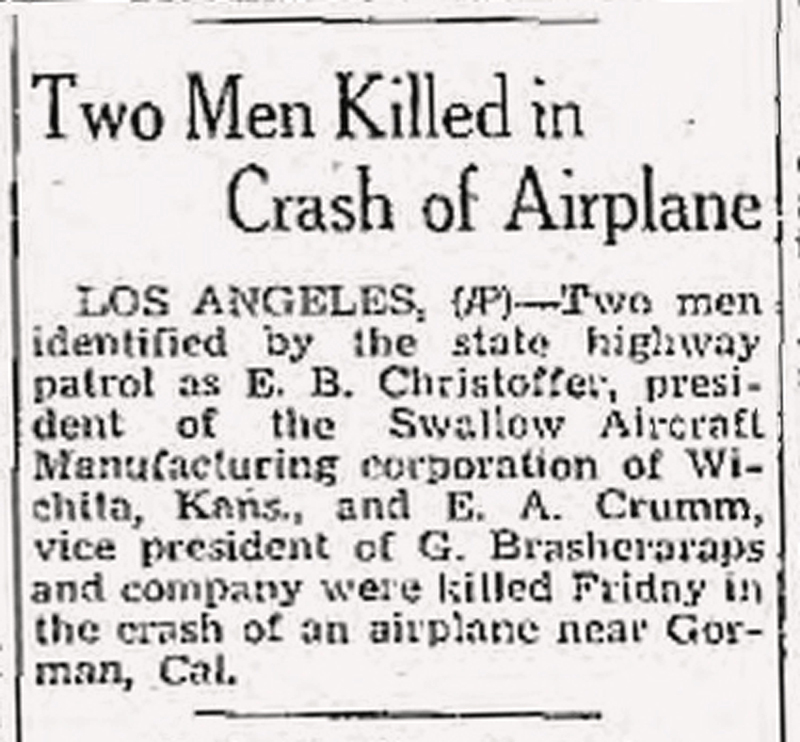 Crumm of Pasadena, were killed Friday, April 9, 1937, when their two-seat Swallow Model "C" Coupe crashed into a mountainside on the fog-shrouded Ridge Route near Gorman. By this time, Santa Clarita Valley residents were growing fairly accustomed to planes falling out of the sky. Three months earilier, on Jan. 12, a Boeing 247-D crashed south of Newhall while on approach to Burbank, resulting in the deaths of five of 13 persons on board. 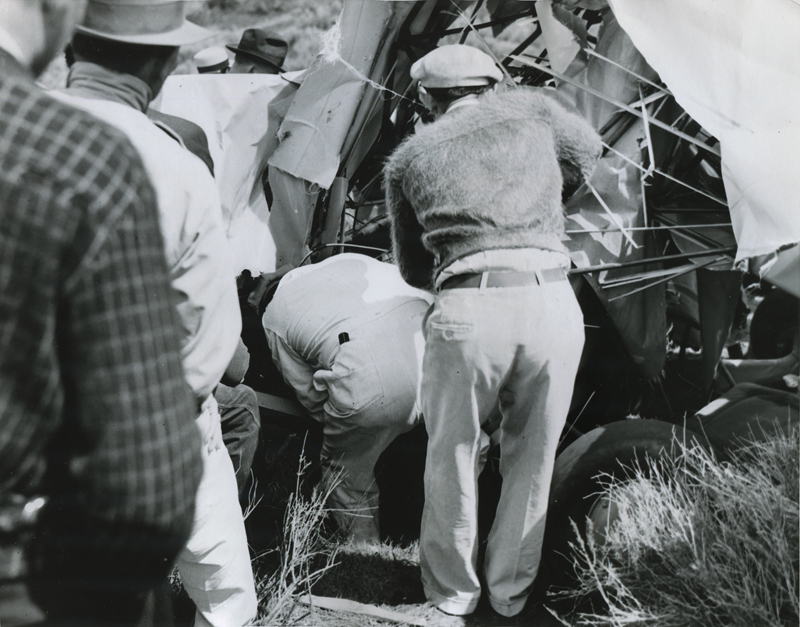 Three weeks before that, on Dec. 27, 1936, another Burbank-bound 247-D crashed south of Newhall, killing all 12. According to a brief Associated Press wire report on the Christopher-Crumm crash, the latter was vice president of something called G. Brasheraraps [cq] and company. An ACME wirephoto cutline identifies Christopher and Crumm as "two prominent aircraft officials," but we don't know if that's accurate in the case of Crumm, or what affiliation the two men might have had, if any. It's certainly true, however, in the case of Christopher. A pioneer aviator and aircraft manufacturer, Christopher was born about 1903, the same year the Wright brothers took their first powered flight. By the late 1920s Christopher was flying passengers around the Midwest and West and selling planes on behalf of Travel Air, one of Wichita's major manufacturers of light aircraft. Cessna, Beech, Stearman and Swallow were others. 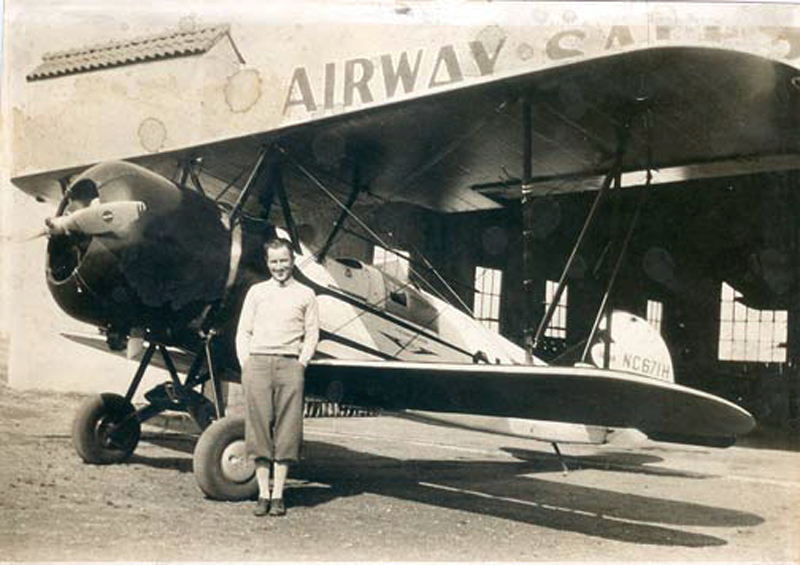 While flying for Travel Air, Christopher established his own Christopher Airplane Service, an independent flying company based at the Wichita Municipal Airport, and by 1927 he was an investor in the Swallow Airplane Mfg. Co.
Christopher and the Swallow Airplane Mfg. Co. Swallow traces its roots to the E.M. Laird Airplane Co., which in 1920 rolled out the Laird Swallow, a biplane. Forty-three were built by 1923, when Mr. Laird was through. Oilman Jake Moellendick bought the company, installing Walter Beech (of the later Beech Aircraft Co.) as general manager and Lloyd Stearman as chief engineer. E.B. Christopher with a Travel Air biplane, registration No. NC671H, circa 1931. In the summer of 1927, after Lindbergh crossed the Atlantic, Travel Air and Swallow were among the competitors in a race from Oakland, Calif., to Honolulu, Hawaii. A Travel Air entry won. Swallow's entry never made it to Oakland; it returned to Wichita with mechanical problems. It tried again three days later and was never seen again. The loss of the plane exacerbated Swallow's financial problems and the company went into receivership. It was reorganized, and that's apparently when Christopher became an investor. The Great Depression was just around the corner. In June 1930, the local Wichita newspaper reported that the city's various makers could find no buyers for the 140 planes they'd produced in the previous three months. By October 1933, a foreclosure judgment had been granted against Swallow. Christopher bought out the other shareholders, promising to rejuvenate the firm as its new president. 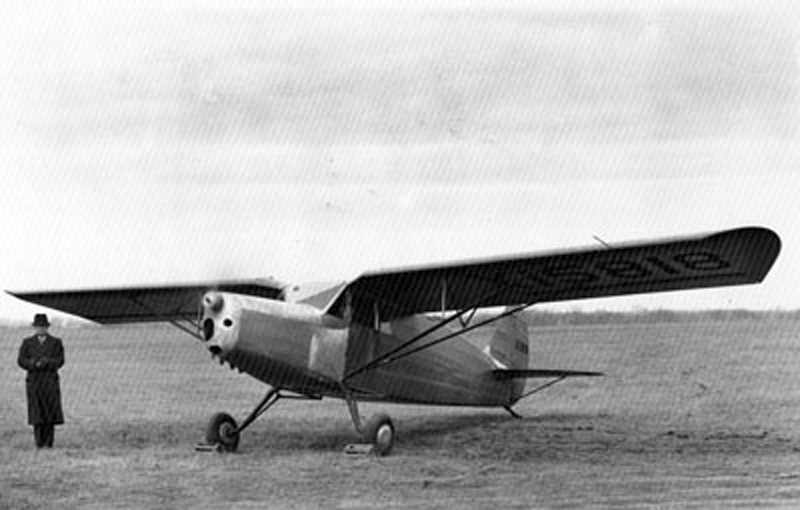 Assisted by Swallow employee Sam Bloomfield, Christopher engineered and designed a new airplane, the Model "C." Powered by a 125-hp Menesco engine, this two-seat monoplane was going to put Swallow back on the map. Under Dave Brehm's superintendency, construction started in 1936. But sales were slow and only three rolled off of the production line. It was one of these three that was lost in the fog on the Ridge Route a short time later. We don't know the circumstances. Not only was Christopher an experienced aviator; he also held an airline transport pilot license (No. T6762). A notch above a commercial pilot's license, the ATP license is the highest level of certification, enabling the holder to serve as captain of an airliner. Another event in aviation history occurred the same day Christopher's ended: The first Japanese-built aircraft to fly from Japan to Europe, the Mitsubishi Ki-15 Karigane, completed its 51-hour flight to London, where it was met by a cheering crowd. The aircraft model was better known by its nickname, the Kamikaze. Following Christopher's death, his assistant Bloomfield took over Swallow Airplane Mfg. Co. and turned it into an aircraft mechanic school and subcontractor for B-29 and B-47 components. In 1945, Bloomfield patented the Tuffy screwdriver, which Swallow manufactured. Swallow went out in 1956. LW2450a: 9600 dpi jpeg from original print, purchased 2013 by Leon Worden.